Every Jedox process generates log files that contain output messages about the activity of the components, as well as error messages and warnings. Additionally, some processes are able to send log messages to syslog backends. This article describes how to configure the log file output for each component. The log file of the In-Memory Database is usually named olap_server.log. This file can grow in size relatively quickly. The detail level of logging can be set in palo.ini like in the examples below. Note: Only some complex log management environments may require logging to stdout. verbose Defines the verbosity. For more information, see the table below. address Optional, only for the syslog sink. It defines the syslog backend address. facility Optional, only for the syslog sink. It defines the syslog facility that you want to use. For more information about syslog facilities, check this article. The output of fatal errors. If this occurs, the Jedox server should be stopped (the server may stop itself) to correct the error. It is not advisable to ignore the error as it may lead to database corruption. Example: no storage space left on the disc. Warning The output of warnings. This error should not generally lead to a corrupt DB, but it should be investigated. Info The output of general notes concerning the mode of operation. This is the default level. This output is very detailed and serves the Jedox development. Set this level only when asked to do so by Support, as using it may result in performance decrease and fast increase of the log file. After changes in palo.ini have been made, the Jedox Server has to be restarted to make the changes effective. After stopping the Jedox Server, this log file can be deleted or saved. The Jedox Server will create olap_server.log anew if it does not exist when the server starts. The In-Memory Database Server can log certain information regarding performance and resource usage into a dedicated log backend, using the syslog protocol. For more information, see Performance Monitor. This is the log file of .Net Addin. It logs Excel Add-in Ribbon and dialog errors. This log file can be deleted or copied every time Excel is idle. 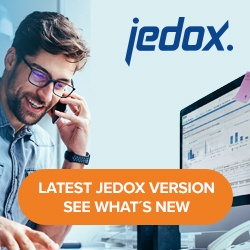 Jedox Excel Add-in will create this file anew if it does not exist and is necessary. This is the log file of Palo*.Xll. It logs calculation errors of Palo formulas in the cells. The file office_addin.log outputs errors that occur in Jedox Office Add-in. This file logs activities and errors of JedoxSuiteCoreService (the Report Designer component of Jedox Web). You can change log parameters in the file <Jedox_Installation>\core\config.xml (Windows) or<Jedox_Installation>/core-Linux-i686/etc/config.xml (Linux). Here you can define which log level is generally used. Available log levels are critical, error, warning, notice, info, and debug. Level defined in <logging> tag is default log level (fallback), so you can omit level definition in <logger> tag. You can also opt out of displaying the same error message for as many times as it is displayed by setting ignore_repeated to true. The Spreadsheet Server will only print the message once and print how many times the message is repeated. Here you can set a value to define when the log file should be rotated. You can define a size, a time or both. In the last case, the rotation will be executed based on whichever comes first. The following attributes are possible: size (between 1KB and 9999MB), time, day_of_week, and day. All attributes are optional. The pattern for time input is defined as “hh:mm:ss”. Additionally, you can define rotation on the specified day of every week or day of each month. <file_rotation size="100KB"> : file will be replaced after reaching 100 KB size. <file_rotation time="08:05:05" day_of_week="Monday"> : file will be replaced every Monday at 8:05:05. <file_rotation size="500KB" day="1"> : file will be replaced after reaching 500KB size or on the 1-st of every month, at midnight (implicit), whichever comes first. The max_size and min_free_space parameters are optional; the corresponding threshold will not be taken into account if the parameter is not specified. You can log the information from the log files into a dedicated log backend, using the syslog protocol. The logging is optional and turned off by default. You can also set up a specific verbosity and the facility. You can change the facility by adding it to the URL, instead of local0, which is the default. The file etlserver.log outputs activities and errors of the Jedox Integrator server and serves as a valid point of reference for server activity. You can change log parameters in the file <Jedox_Installation>\tomcat\webapps\etlserver\config\config.xml. With these settings, a maximum of 20 archive logs will be held. If file size becomes larger than 50 MB, a new log file will be created and the oldest file will be deleted. Numeric suffixes of all other files will be incremented by 1. Where TZ is the specific timezone. The file scheduler_server.log can be found in <Jedox_Installation>\logs\tomcat and delivers following task info: task name, start time, who executed the task, the status of the task (finished successfully or not) and in case of batch jobs the used variables. log_file Defines the target file of the log messages. log_stderr Possible values: 0 or 1. Disables or enables logging to stderr. debung, only for internal use. Note: The LogLevel directive specifies the severity of the log level. The default is warn. For more information, see the Apache LogLevel Directive. The file rpc.log and various other log files can be found in <Jedox_Installation>\logs\tomcat.